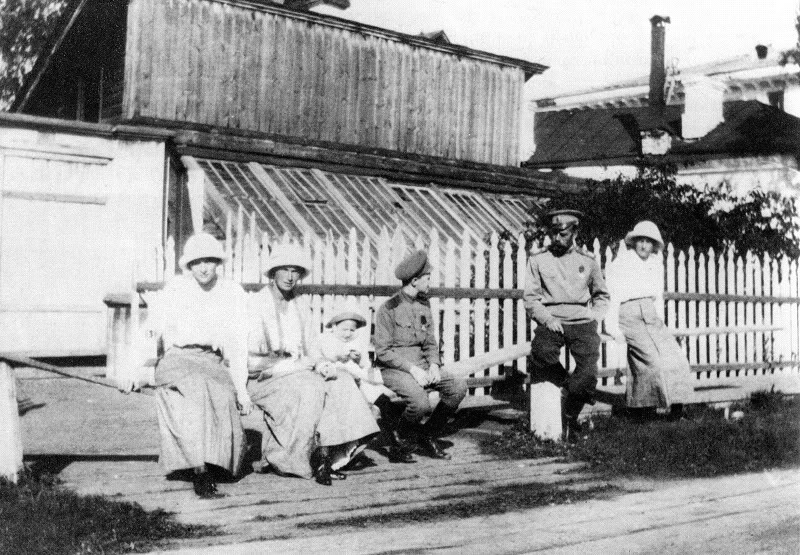 The Russian Imperial Family, c1913-1914. Image: Library of Congress/Wikimedia Commons. 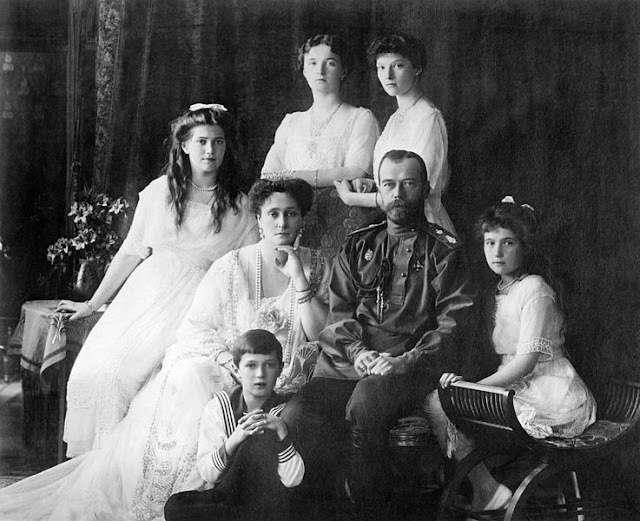 On the night of July 16-17, 1918, Nicholas Romanov, the former Czar of Russia and ruler of the world's biggest empire, helpless and miserable, was murdered together with his wife, Empress Alexandra Feodorovna, and children, Grand Duchesses Maria, Olga, Tatiana, and Anastacia, the hemopheliac Grand Duke Alexei Nicolaevitch, and a number of servants. They suffered death in the most inhumane manner: shot, bayoneted and clubbed until they died again and again. 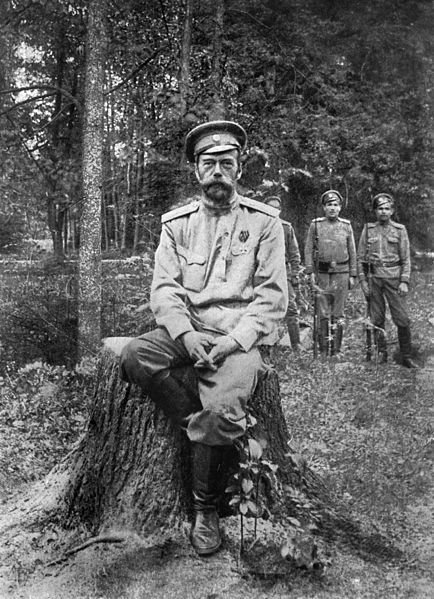 Various factors triggered the February Revolution of 1917, which led to the abdication of Czar Nicholas II. He also abdicated on behalf of his son but his younger brother, Grand Duke Michael, refused to accept the throne unless the people decided to retain the monarchy. 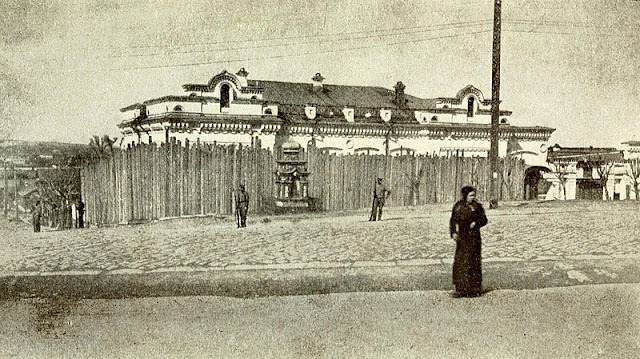 However, protesters demanded for a republic, and so, the house of Romanov, which ruled Russia for over three centuries was abolished. Nicholas and his family were held under house arrest in Alexander Palace until August 1917, when the Kerensky government decided Tsarskoye Selo was no longer safe for the Romanovs. They were sent to Tobolsk in the Urals. 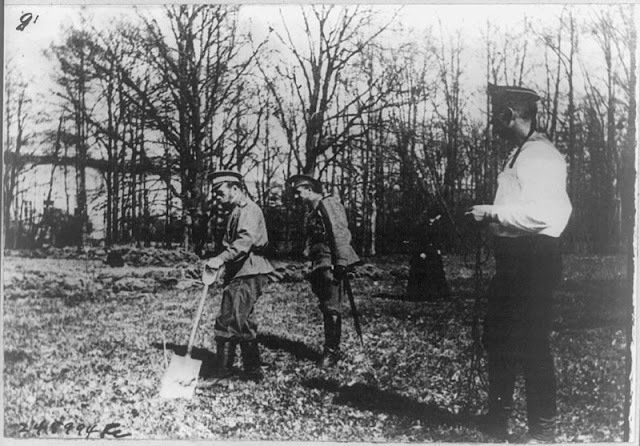 It was initially planned that they stay there until winter before they would be sent abroad in the spring of 1918 via Japan. That never happened. 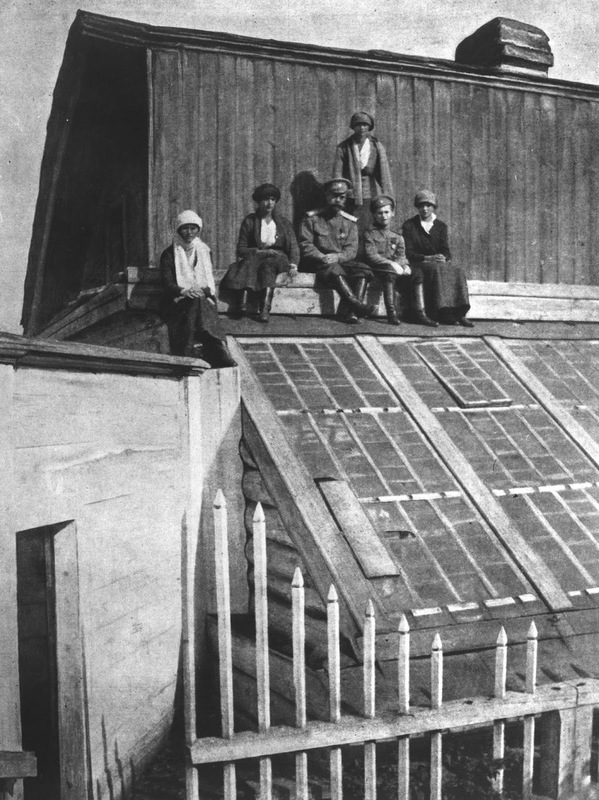 At the start, life was quiet, idyllic, and comfortable, although not luxurious, until things turned from bad to worse. 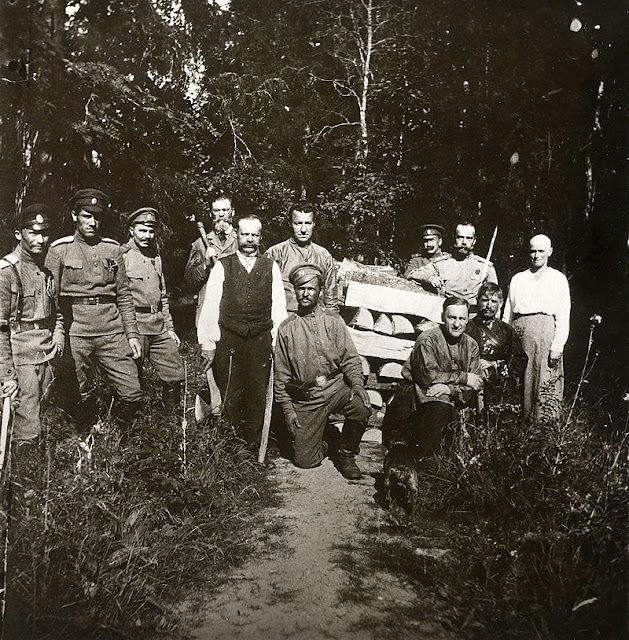 Pictures below show the life of the Nicholas and his family in Tsarskoye Selo and Tubolsk. 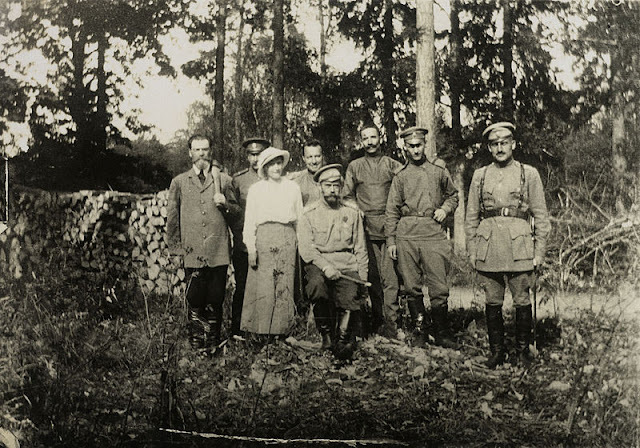 Nicholas II is photographed here with his daughter Grand Duchess Anastasia Nikolaevna, Prince Vasily Dolgorukov, Franz Juravsky, Tchemodurov and two other male servants in a forest in Tsarkoye Selo. Behind them are piles of chopped woods. Image source: Royal Collection Trust/ Wikimedia Commons. 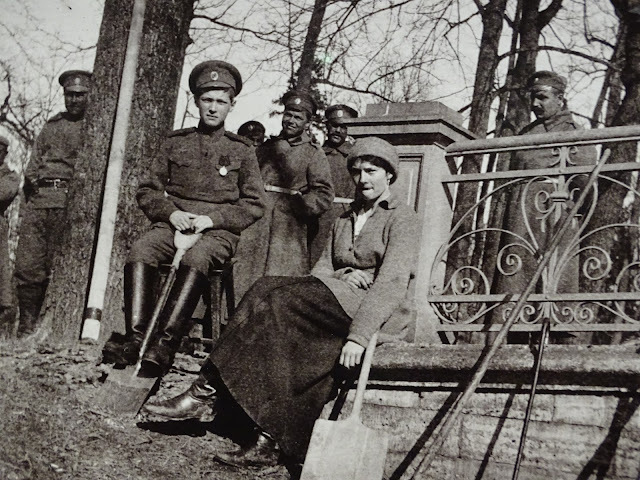 On the far right of the photograph, beside Nicholas II, is a bald Grand Duchess Anastasia, who had her hair shaven after her bout with mumps. Image source: Royal Collection Trust/ Wikimedia Commons. 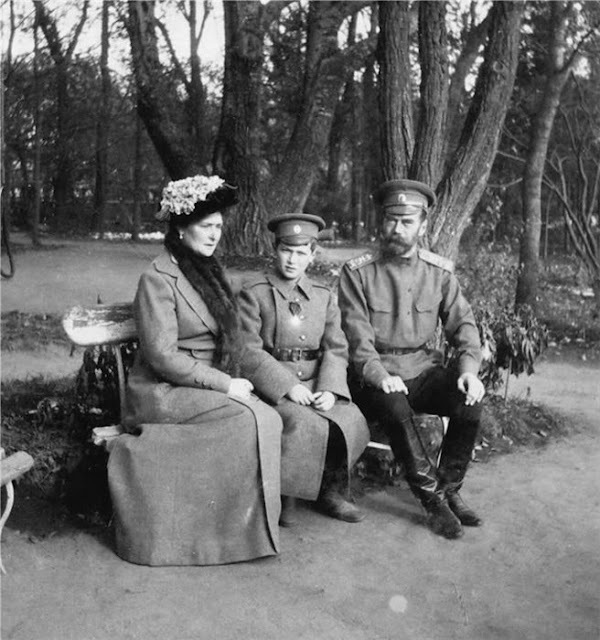 Empress Alexandra Feodorovna, Tsarevich Alexei Nikolayevich and Emperor Nicholas II at Tsarskoye Selo. Image: Wikimedia Commons. Grand Duke Alexei and his sister, Grand Duchess Tatiana, with their guards in the park at Tsarskoe Selo. Despite being held at Alexander Palace, the royals still had some sort of freedom to go around. Image: Pierre Gilliard, Underwood and Underwood, N.Y.
With nothing left to do, Czar Nicholas II busies himself in the kitchen garden at Tsarskoe Selo. 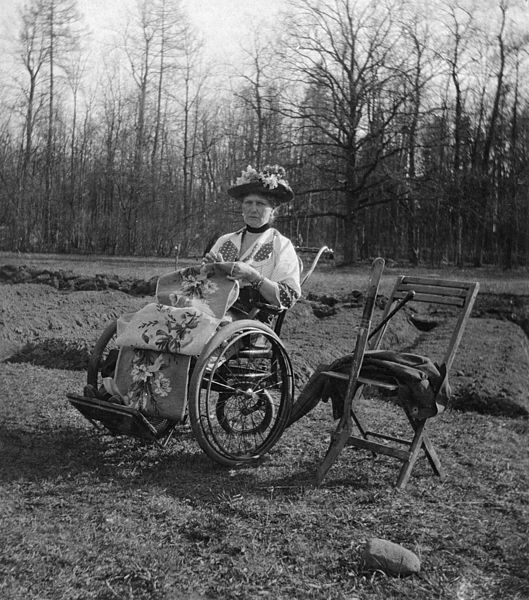 The former Empress Alexandra works on her embroidery while seated on a rolling chair, while the rest of her family does the garden at Tsarkoe Selo. Image: Library of Congress. The former czar and his children sit in front of a fence and a greenhouse during their captivity in Tobolsk. Joining them is a little boy of a servant. Source: Alexander Palace Times. Nicholas II and his children. Source: Romanov Collection, General Collection, Beinecke Rare Book and Manuscript Library, Yale University. 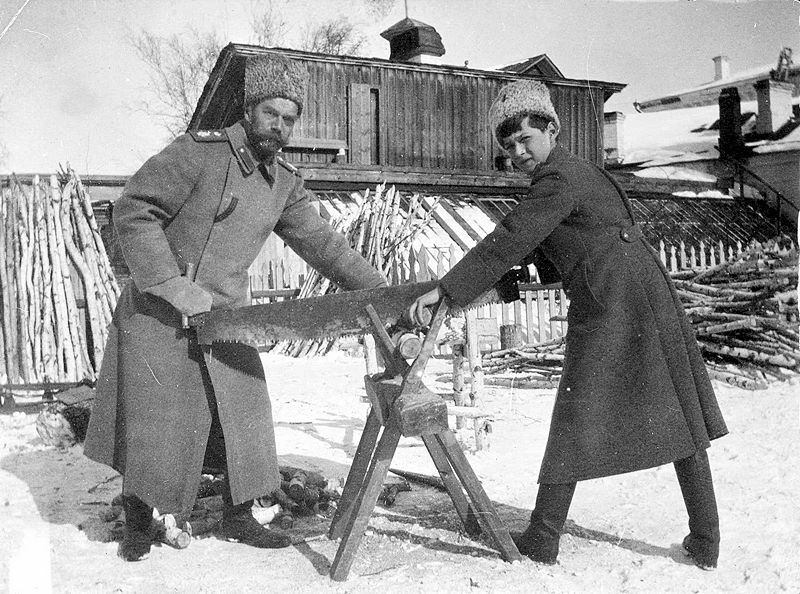 Wintertime in Tobolsk and Tsarevich Alexei helps his father saw wood. 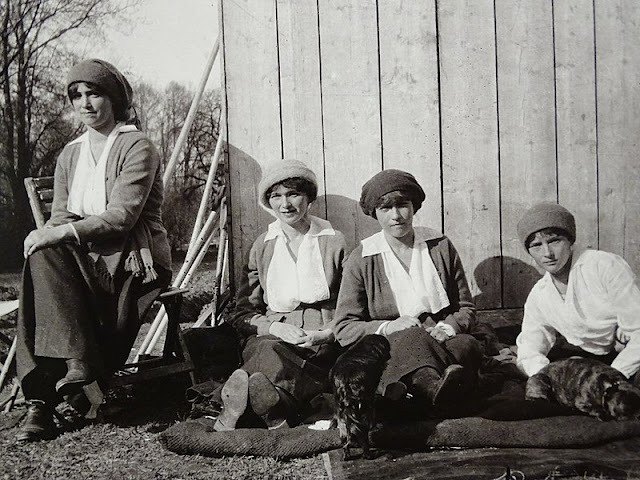 Source: Romanov Collection, General Collection, Beinecke Rare Book and Manuscript Library, Yale University. 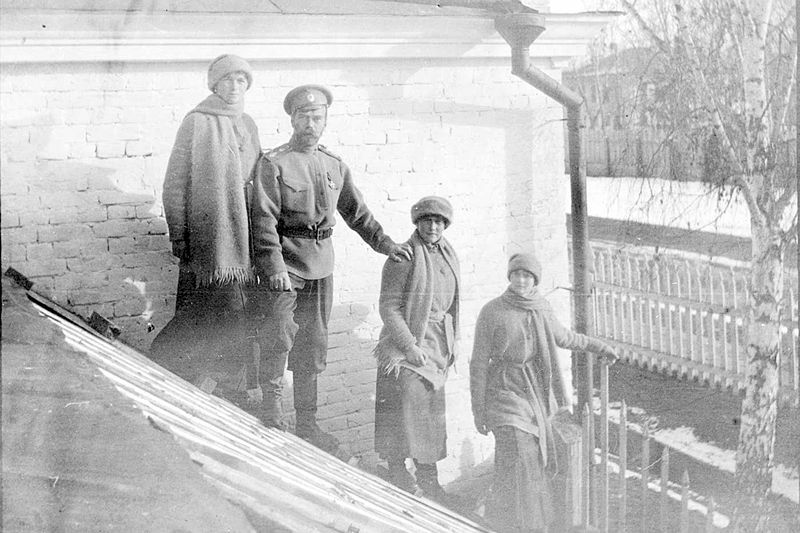 The former czar and his daughters Olga, Anastasia, and Tatiana in the winter of 1917. Source: Romanov Collection, General Collection, Beinecke Rare Book and Manuscript Library, Yale University. 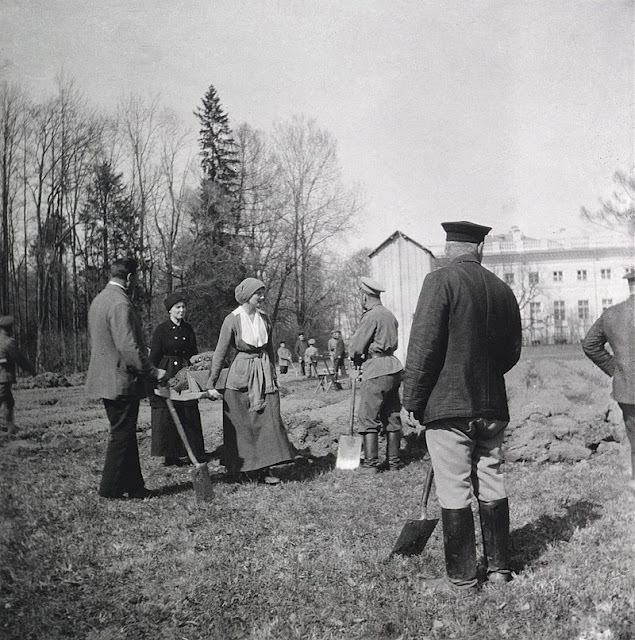 On April 30, 1918, the Romanovs were transferred to their final destination: the town of Yekaterinburg, where they were kept in the two-storey Ipatiev House. It was once the home of military engineer Nikolay Nikolayevich Ipatiev, who called it the "house of special purpose." Indeed, it would be home to special, ill-fated guests. 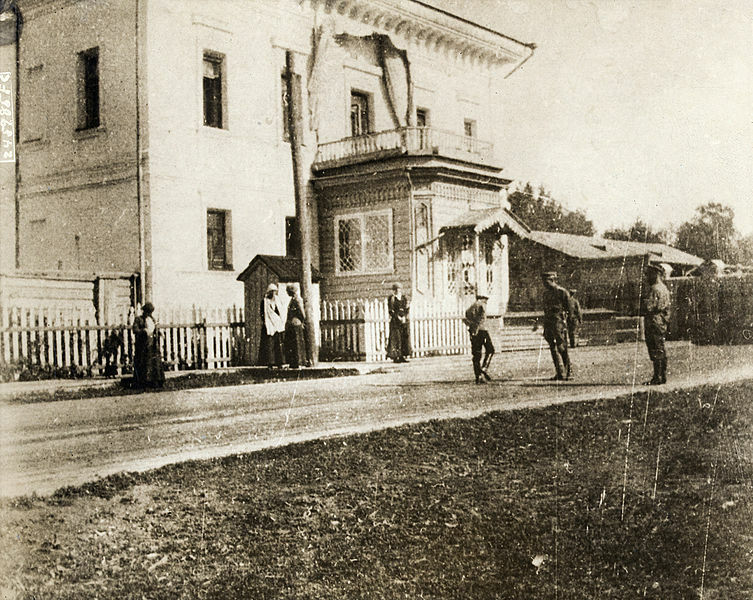 Here, Nicholas II and his family suffered a brutal death. Read the 11 Chilling Facts about the Murder of the Romanovs.